At Heartwood we only use timber supplied from woodland and forest which comply to PEFC and The Forest Stewardship Council regulations. The Forest Stewardship Council website. 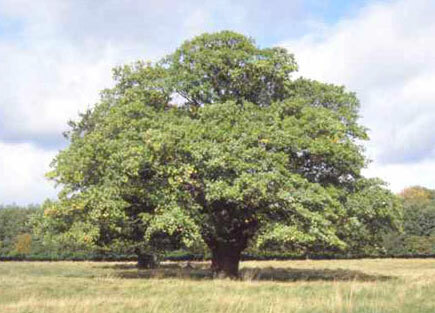 We also try to source local english oak whenever possible, although the forestry industry in Britain is not as well managed as in France or other places in Europe. Unfortunately 98.5% of original ancient woodland in Britain has been lost, due to dlear felling for boat building, glass furnaces, farmland and industry. Of the little remaining woodland, some is still under threat. This is not wholly the case in France and Europe, trees were replanted and woodland was managed allowing a much larger forestry industry today. The UK is one of the least wooded places in Europe. Only 12 per cent of the UK is woodland, compared to an average of 44 per cent in other parts of Europe. We have around 50 species of native trees and shrubs, including three conifers, in the UK. In the last 100 years, 46 broadleaved woodland species have become extinct in the UK. In 1980, native species accounted for only five per cent of trees planted in the UK. Thanks, in part, to the efforts of conservation organisations like the Woodland Trust, by 2000, this figure had risen to over 40 per cent. Ancient woodland is land that has been continuously wooded since at least 1600AD, it is the last remaining link with the original wooded landscape, which covered the UK after the last Ice Age. In the UK, Ancient woodland now accounts for only around 2 per cent of the land use. Our version of the ‘rainforest’, ancient woodland is home to more threatened species than any other UK habitat and is irreplaceable. Nearly 50 per cent of the ancient woodland that still remained in the 1930s, has since been either lost to agriculture and development, or damaged, mainly by conifer plantation. Of the remaining ancient woodland in the UK, 85 per cent has no legal designation. Ancient woodland is fragmented; eight out of 10 woods are less than 20 hectares (50 acres) in size and nearly 50 per cent of ancient woods are less than five hectares. Ancient woodland has been in steep decline for 80 years and during that time almost half of it is thought to have been lost – partly to plantations and partly to agriculture. The tragedy of UK woodlands in the 20th century was that so much of the destruction was caused directly by government actions – grants and advice that encouraged converting old woodlands into agricultural use and promoted the coniferisation of ancient woodlands. Fortunately that has now stopped and the Forestry Commission and other government bodies are actively encouraging the conservation of ancient woodland sites.